Yay – it’s Friday and this week we have a Building Character interview. 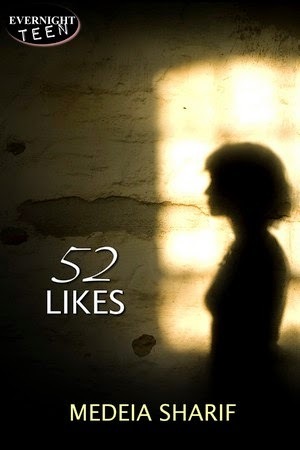 Let me introduce you to Valerie from 52 LIKES by Medeia Sharif. Welcome to Strands of Thoughts, Valerie. Can you tell us a little about you, please? I’m Valerie, a high school junior, and I live in Miami. I’ve heard good things about Miami. Especially the weather. But I doubt your book is about all the nice weather in Florida. What kind of conflict are you up against in 52 LIKES? Something bad happened to me last week. I went to a party, but ended up in the wrong house. I just can’t talk about the rest. Only my best friend, my mom, and the counselor I met that night know about the incident. Oh, and also the police since I reported it. Oh, jeez, the police? Sounds scary. What are some of the biggest stumbling blocks you’ve encountered trying to resolve whatever it was that happened? People are somehow onto my secret and are spreading nasty rumors about it. Also, I’m getting bizarre messages on my phone from strangers hinting at what happened to me. It’s freaking me out. I’m sorry to hear that. Is there a bright spot to this at all? Have you learned anything about yourself because of all this? I learned that it’s okay to be afraid and that I can face my fears. And I’m not alone in all this. Wow, that’s really profound – saying that it’s okay to be afraid. And I’m super glad to hear you aren’t facing this alone. Who is by your side? Her name is Cookie, she’s had a tough life, and I can count on her for anything. Let’s lighten the mood a bit. What’s your strongest personality trait? I have a big mouth that I’ll use to defend myself, although I get into trouble for that. People were brutal to me because they have twisted ideas about some stupid things I did last year, so they think the worst of me. It was because some pictures of me were circulated by accident. Also, they made fun of my appearance. I don’t want to get into all of that, though. That was last year, and this year I’m facing way bigger problems. Wow, Valerie, it sounds like pretty serious stuff. I hope it all works out well. Thanks for joining us. 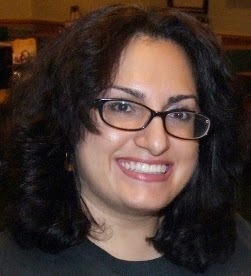 Readers, here is more about Valerie’s book, 52 LIKES. Thank you for having Valerie over. My pleasure, Medeia. Happy to help her spread the word on her story. What happened to you, Valerie, was terrible, something you will always remember. But you are brave and learned how to deal with it. Your story should help others who face similar decisions. Great interview, Kai and Valerie.